Aughtry celebrates his first victory in 08 with his daughter. Aughtry "3 Peats" at Rocky River! Championship Flight: Winning is hard enough on the egolf Amateur Tour but Saturday Jim Aughtry won for the third straight year at the Rocky River tour stop. Aughtry captured his first victory of the 2008 season by firing a 2 under par 34 on the back nine to post an even par 72. Finishing in second place, just one shot behind Aughtry, was Andy Price in his debut event with 73. Matt Pennell's 74 was good enough for third place and Dave Schmidt got fourth on the scorecard playoff, beating out 5 other players at 76. A Flight: Newcomer Steve Oliverio cruised to a three shot victory Saturday shooting a smooth 77. Two players shot 80's with Gary Fesperman beating out Joe Harrell on the scorecard playoff for second place. Jim Boyce shot 81 Saturday good enough to grab fourth place money. B Flight: Don Floyd and Jimmy Chapman both shot 80's Saturday with Floyd capturing first place in the sudden-death playoff. Fnishing just one shot back with 81, Scott Honeycutt grabbed 3rd place. With three players shooting 83's Todd Mozingo beat out Ridenhour and Ballard on the card for fourth place. C Flight: Todd Mullis captured his second win of the season in a sudden-death playoff against Ken Burke Saturday. Both players shot 86 with Mullis winning first place. A pair of 89's by Jeremy Treadaway and Johnny Davis were good enough for third and fourth place respectively. Thanks to all 108 players Saturday who moved around the course to get everyone in safely before the sever weather hit. The Tour's next stop is 3/29 at CC of Salisbury a 1:00pm shotgun start. Once again the field will be limited to 108 player's so don't delay in signing up, we have sold out every tournament this season! egolf Amateur Tour Results from Rocky River: Championship Flight: 72: Jim Aughtry; 73: Andy Price; 74: Matt Pennell; 76: David Schmidt, Michael Bailey, Chad Julka, Mark Ballew, Robert Surratt; 77: Kenny Bethea, Jr.; 78: Chase Wilson, John Sadri, Tim Crowe, Joe Jaspers. A Flight: 77: Steven Oliverio; 80: Gary Fesperman, Joe Harrell; 81: Jim Boyce; 83: Mike Harter, Steve French, Greg Ries; 84: Mark Gregory; 85: Jim Brand, Steve Williams, Chris Gerhard, David Williams. B Flight: 80: Don Floyd, Jimmy Chapman; 81: Scott Honeycutt; 83: Todd Mozingo, David Ridenhour, Chad Ballard; 84: Derek Denton, Phil Vangeersdalen; 85: Joe Saenz. C Flight: 86: Todd Mullis, Ken Burke; 89: Jeremy Treadaway, Johnny Davis; 90: Bert Rodriguez, Jeff Cottom; 91: Dave Gabbard; 92: John Rinaldi; 93: Allen Hagen, Brian Sanders. 2018 Charlotte Local Finals-Dave Schmidt, Joe Zambrecky, Terry Upright, Luke Lavorato & Bradley Leak all win! Barnes, Breedlove, Santee, Calhoun & Leak all win at Carolina Lakes. Jody Clary, Scott Ide, Mike Kim, John Anderson & Mark Stone all qualify for the Tour Championship in Hilton Head next month! Jaspers, Funderburk, Buie, Daniels, Greer take top honors at River Hills! Jobe Dyson, Chad Hagerman, Mark Osborne, John Page and Bradley Leak all win at The Palisades! Randy Dockins, Joe Zambrecky, Nolan Elenz, Chuck Young and Jon McIsaac all win at Cabarrus! Jaspers, Jones, Boeving, Pharr, Kemp all win at Firethorne. Joe Jaspers, Tim Smith, Terry Upright, John Page, Toby Strickland all win the Players Championship! 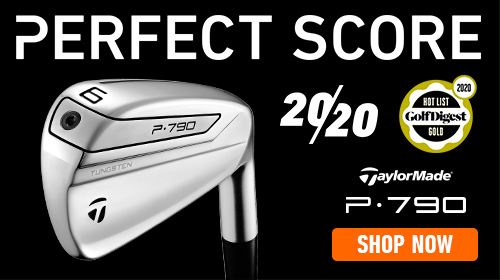 Jobe Dyson, Paul Ashmann, Nick Marinelli, Sean Ahn and Michael Martin all win at TPC Piper Glen! Eric King, Randy Hodges, Kirk Tatge, Stephan N-Plotnicki and Michael Martin all win at the Golfweek Open! Joe Japsers, John Ervin, Allen Iverson, Chuck Young and Toby Strickland all win at River Run! Jobe Dyson, James Ramsey, Nathan Arnold, Nick Marinelli and Bill Bender all win at the Peninsula! Joe Jaspers, AJ Jackson, Nathon Arnold, Gene Bass and Eddie Hayes all win at RockBarn! Barnes, Brandenburg, Elenz, Captain and Stone all win at Charlotte National! Joe Jaspers, Charles Devenney, Terry Upright, Sam Carpenter & Brian Crumpler all win the Stonebridge Masters! Joe Jaspers, Randy Hodges, Nathon Arnold, Andy Captain and Darren Slate all win at Northstone! Mike Gentry, Charles DeVenney, Patrick O'Connor, John Page and Darren Slate all win at CC of Salisbury! Jay Barnes, Dennis Reames, Allen Hagen, Mike Mirgeaux & Brian Keith all win at Edgewater! 2016 Charlotte Tour Starts Saturday Feb. 6th 11am shotgun start at Carolina Lakes! Jaspers, Nichols, Sherrill, Lesnick and Johnson all win Local Finals in rain soaked weekend! Joe Jaspers, Scott Nichols, Todd Mullis, Stephan N-Plotnicki and Darren Slate all win at The Palisades! Jim Aughtry, Mitch Howze, Terry Upright, William Stanton & Vince Johnson all win at River Hills! Jobe Dyson, Joe Zambrecky, Cliff Morgan, John Page, Eric Riley all win at Cabarrus CC! Joe Jaspers, Phil Vangersdaelen, Eric Stanwick, Steve Daniels and Michael Martin all win at Firethorne CC! Joe Jaspers, Tim Smith, Mike Kim, Andy Captain and Chris Richards all punch there ticket to Hilton Head! 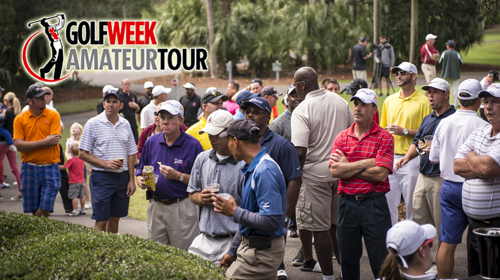 David Schmidt, Don Bridges, Judd Dye, Mark Sikes and Bradley Leak all win Golfweek Open! Mike Gentry, Travis Dodge, Todd Mullis, Richard Cairns & Chris Richards all win at Charlotte National! 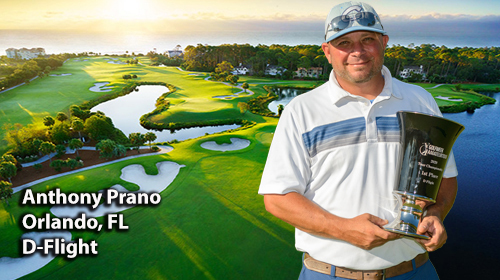 Jim Aughtry Jackson Sveen, Paul Aschmann, Scott Cain & Vince Johnson all win at The Peninsula! Joe Jaspers, Mitch Howze, Todd Mozingo, Tommy Suh and Andy Captain all win at the Warrior! Joe Jaspers, John Ahsmore, Terry Chesney, Gregg Sherrill and Cory Bowman all win at RockBarn (Jones)! Jim Aughtry, John Ashmore, Sveen Jackson, Larry Hinson and Andy Captain all win the seasons first major! Jaspers, Wallace, Willoughby, Wrigglesmith and Bowman all win at Northstone; Greg Ries had first ace of the season! Jay Barnes, Randy Hodges, Terry Chesney, John Anderson and Cory Bowman all take first place at CC of Salisbury! Joe Jaspers, Travis Dodge, Shane Hogan, Richard Cairns and Gregg Sherril all win at Cowan's Ford! Jody Clary, John Ashmore, Chad Sherrill, Bill Holland and Gregg Sherrill all win at Edgewater! David Schmidt, Kevin Ronan, David Johnson, Sam Carpenter & Joo Kim all win at Carolina Lakes! 2015 Season starts at Carolina Lakes February 7th! Jobe Dyson, Don Bridges, David Aussicker, Larry Hinson and Paul Sharples all win at Irish Creek! Aughtry, Goodyear, Mozingo, Cline and Bender all win at Edgewater! Jaspers, Albright, Lawrence, Aschmann & Lopez all win and Steve French has his first hole-in-one ever all at Cabarrus CC! Jaspers, Bridges, Burrell, Tarbet and Ellis all win at Firethorne! Jaspers, Albright, Lawrence, Aschmann, and Lopez all win, Steve French gets his first ever hole-in-one on the par 3 fifth hole at Cabarrus CC! Hall, Love, Montgomery, Greer & Bender all win The Players Championship! Jaspers, Nichols, Morgan, Ashmann and Harmon all with Golfweek Major at Irish Creek! French, Junkins ,Skiles, Hagen and Smith all win at Charlotte National! French, Boone, Skiles, Mack and Pharr all win at The Warrior! Joe Jasper's, Sean Camilleri, Robbie Ellis, Bob Talbot and Eric Riley all win first major of the season! Adam Firestone wins in Sudden-Death Playoff on the card! Another Sell-Out at Cowan's Ford finds some first time ever winners! Jaspers pulls away on the back nine for the victory! Hall makes it second win in a row and Janse Van Rensburg wins in a playoff! Bill Hall shoots 68 and son Billy shoots 69 with 31 on the back nine! 2013 Season end for the Charlotte Tour! 2013 season ends this weekend with the Local Finals don't miss out! 1pm shotgun starts both days!! Fuzzy Zoeller runs clinic and autograph session at Edgewater Saturday! Freddie Nordhoff, Cooper Daniels, Jimmy Chapman, Larry Hinson and Bradley Leak all win at Northstone CC! Skins pot carries over to Firethorne close to $1500 expected in Northstone CC Skin Pool! 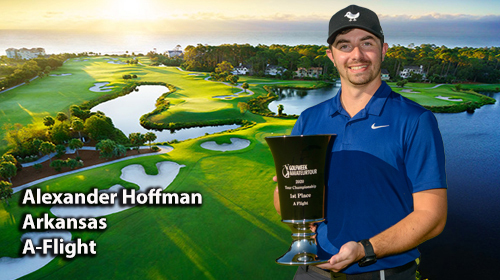 All five winner's of the Players Championship win their first ever major event! Players Championship next tour stop July 27th-28th! â€‹Next tour stop is the Golfweek Open Major at the Club at Irish Creek June 23rd-24th 1:30 shotgun start both days! Bill Hall, Jack Beach, Robert Harty, Bob Talbot and Ed Ford all win at RockBarn! Ted Snavely (Champ) Richard Boone (A Flight) Jimmy Chapman (B Flight) Matt Crates (C Flight) Mason Hagen (D Flight) all win at Charlotte National! The Palisades next stop this Saturday 1:30 shotgun start! 100% GO TODAY!! Joe Jaspers, Charles Devenney, Phil VanGeersdaelen-Derek Goodyear, Mark Sikes, Mason Hagen all win first major of the year! Ken Burke makes Hole-in One on #12; Three flights go into sudden-death playoffs. Breedlove wins in A flight with Sudden-death victory! Dave Schmidt, Phil Gregorich, Vic Lawrence, John Torres & Matt Henson all win at CC of Salisbury! Jay Barnes, Dennis Killough, Doug Watson, Mike Grant & Chris Harmon all win at Rocky River! Mike Nasekos win A flight in a five hole playoff at Edgewater! Edgewater March 2nd 11am Shotgun start! Bill Hall gets 2013 started with an Ace at the par three 12th hole Saturday! 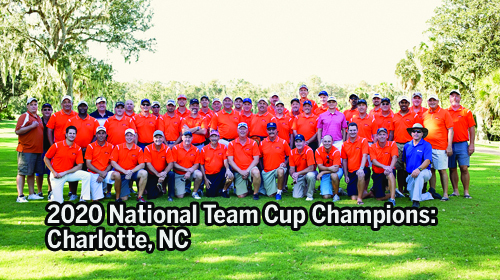 Sign up now for The 2 man team Championship in Myrtle Beach -Carolina Lakes Sold Out! 2012 Charlotte Tour points winners all awarded at CC of Salisbury! Barnes, Smith, Frazier, Mayor, Greer and N-Plotnicki all lead after day one of the local finals! Joe Jaspers, Don Bridges and Charles Mines all win in sudden-death at Irish Creek! Joe Jaspers fires a three under par 69 to win by two at Northstone CC! 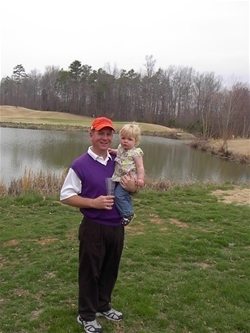 Rich Daniels aced the par three 15th hole at Firethorne CC on Saturday. Daniels hit an 8 iron 149 yards in the cup in one bounce. Day one Results of the Players Championship! Joe Jaspers, Don Bridges, Kirk Tatge, Ken Burke and Jay Turner all win major at Irish Creek! Lots of first time winner's on tour highlight the Rock Barn (Jones) event! Hyun Chung wins two weeks in a row; Jason Breedlove, David Aussicker, Blane Seley and Joesph Rinaldi also win! Four first time winners for the 2012 season at Cabarrus CC! Five player's punch ticket's to Hilton Head by winning the Stonebridge Masters! Jim Aughtry, Nick Terry, Terry Upright, Robbie Ellis & Jay Turner all win at The Warrior! Lowest scores of the season lead by Andy Price and his 6 under par 66! Cowans Ford is 100% GO TODAY AS RAIN ENDS BY 10-11AM; Pairings now posted!! Aughtry, Bridges, Reece, Ellis and Daniel all win at Charlotte National! Aughtry, Ronan, Mann, Jackson & Smith all win at Edgewater on Saturday! Edgewater Saturday Feb. 25th; Pairings now posted-Hole Assignment list below! Louth, Ronan, Aussicker, Rinaldi & Daniels all win at the opening event at Carolina Lakes! The first event at Carolina Lakes in Sun City is Now has 2 spots Available! Pairings now posted under Tee Times button! The 2012 Golfweek Amateur Tour schedule now posted on the web page. Local finals end the 2011 regular season! On to Hilton Head and the Tour Championship! CC of Salisbury 9:00 am shotgun start! Pairings now posted under tee times!! Aughtry, Dutin, Wilson, Smith and Hunt all win at Irish Creek! French, Knight, Dutcher and Goodwin all first time winners on tour! Edgewater starts the Fall Finish still spots available; 10am shotgun start! Pairings and Hole assignments now posted! Aughtry, Clippard, Frazier and Sanders all take home victories from Northstone CC! Espin wins B Flight in 3 way playoff; Brenner, Ries, Bolding and Bowker also claim victory! Northstone Pairings & Hole Assignments now posted below, still spots available to play! Palisades Pairings & Hole Assignments now posted! Tourney is now full if you want to be on a waiting list just email or call me. Reames wins in Sudden-Death playoff; Aughtry, Bumgarner, Hill and Calhoun all take home victory! Lake Hickory CC Hole assignments & pairings now posted; spots still available! Jaspers & Hill win in Sudden-death; Ries, Carter & Calhoun all win for first time in 2011! Cowans Ford CC this Saturday 7/30 1:30 shotgun start; Pairngs and Hole Assigmnets now posted! Jim Aughtry wins in three hole sudden-death playoff over Anthony White! Firethorne Saturday's Pairings & hole assignments now posted for 1:30pm shotgun start! Joe Jaspers pours in 13 birdies en route to his second straight Irish Creek Open victory! Sunday Round Two; The Club at Irish Creek! Hole assignments and pairings now posted. Statesville CC results now posted! Roger O'Connell fires a 3 under par 69 to win by 2 shots over Michael Bailey! Cabarrus This Saturday player list below; Pairings posted under Tee Times! Still 4 spots left if you wish to enter. Jaspers takes down Aughtry in the fifth hole of sudden-death! The Warrior hole assigments now listed below! We are playing for sure today see you by 1pm! Jaspers, Breedlove, Van Geersdaelen, Elenz & Marraza all win at River Hills CC. River Hills CC Pairings now posted;Current player hole assignments below! Schmidt, Hickey, Shartzer, Johnson and Hill all claim this years first major! River Hills CC has only 7 spots left open for this Saturday; Current player list below! Stonebridge Masters Day 2 Hole Assignments and Pairings! Aughtry, Smith, Ellams, Hinson and Hill all win; as they beat the wind! Cowans Ford CC pairings now posted for Saturday; Hole Assignments below! Chad Frye and Greg McCoy both win in Sudden-Death playoffs! Pairngs now posted for tomorrow 1pm shotgun start! Player hole assignments below. Mike Espin defeats Joe Lewis in a sudden-death playoff! Statesville CC FULL for this Saturday; Salisbury next week please let me know ASAP filling up fast! Jaspers wins in sudden-death over Aughtry; Crates and McGhee win for the first time ever! Charlotte National 9am shotgun start pairngs now posted; Player list below! Jim Augthry wins in Sudden death playoff over Joe Jaspers! Edgewater Pairings and Hole assignments are now posted; Player list below! Jaspers fires 67; Reames and Hargett win in Sudden-death and Greer wins for first time on tour. Carolina Lakes Pairings are now posted click Tee Time Button to see pairings! Jim Aughtry, Chris Hickey, Joel Barlowe & Ken Burke all win 36 hole Local Finals! Pairings for RedBridge now posted; Player list below See you all tomorrow! Aughtry shoots 69 for the victory; Three other players win for the first time this season! Bridges win in sudden death playoff; Clary, Hearn and Holland all grab crystal wins! Brenner wins in Sudden-Death; Nasekos; Striplin and Hinson all win! Jim Aughtry fires a season best 67; Breedlove, Chapman and Lowndes all bring home the crystal. Alex Brenner, Greg Ries, Terry Upright and Larry Hinson all win at Charlotte National! Andy Price, Chad Ballard, Terry Upright and Durwin Striplin all win at Cowans Ford CC! David Schmidt and Vic Lawrence win by 3 shots; Mike Harter and Kelley Moss win in Sudden-Death playoffs! 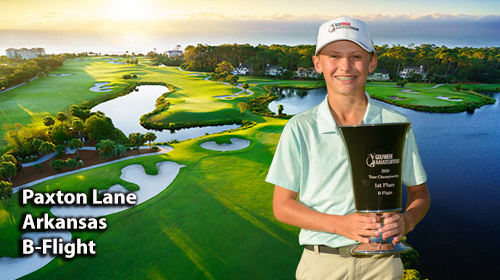 Joe Jaspers, Tommy Lee, William Buie & Sindo Mayor all win Sunday in the eGolf Open! Jerry York wins in sudden-death; Jaspers, Gaston and Barron also win! Jim Aughtry, Bryan Lewis, Clif Morgan & Durwin Striplin all claim victory at The Warrior! Jaspers shoots 68; Harter and Watson win in sudden-death and Ken Burke gets his first win of 2010! Sudden Death playoffs the story of the day at Catawba Springs (Lake Hickory CC)! Dave Schmidt, Phil Gregorich, Marty James and Mike Hinson all claim this years first major title! Jaspers shoots 2 under par 70; All other flights go into Sudden-Death playoffs to determine winners! Jaspers one under par 70 wins; Champman wins B in a playoff and Hinson Aces the 14th! Helms beats Jaspers in Sudden-death playoff at Charlotte National! David Schmidt shoots 68; Gracier wins "C" Flight in a sudden death playoff! Andrews, Chappuis, Gaston and Barron all open the 2010 season with a victory! Charlotte wins again in the 2009 Mitterling Cup! Charlotte again victoriuos in the 2009 Mitterling Cup! Jim Aughtry, Phillip Lippard, Jimmy Chapman and Allen Hagen all win in Local Finals! Jim Aughtry, Rex Mills, Greg McCoy and Nolan Elenz all â€œMudderâ€ to victory at RedBridge! Joe Jaspers ties all time low scoring record on tour 64 (-8 under par) and sets course record in the process! Tyler Lucas and Darren Gentile win for the first time ever on tour! Jim Aughtryâ€™s 68 good enough for a one shot victory over Brian Howie & Michael Bailey! 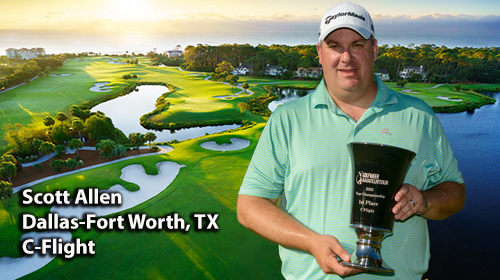 Jaspers wins berth in a pre-qualifier the PGA Wyndham Championship at Sedgefield CC! Jaspers, Chappuis, Chapman & Welsh all win at the toughest course to score on tour; River Hills CC. Aughtry fires a 68 to win by three; Ballard & Jenkins also win, and Ide beats Smith in a sudden-death playoff! Jody Clary has eight birdies on Sunday to fire a 66 at Irish Creek! Jim Aughtry, Roger Stevenson, Rick Dilsworth & Jack Frazier all win at Catawba Springs GC! Lance Waggener shoots the low round of the season on the eGolf Amateur Tour; 7 under par 65! Chase Wilson wins in a playoff and Andrew Chappuis defeats Scott Huber in a 2 hole sudden-death playoff! Robert Surratt fires a (1) under par 71 to win at Cabarrus; Ballard, Dutcher and Oâ€™Connor also claim victory! Todd McPherson fires a (3) under par 69 to win at Rocky River! Rocky River "Earth Day Tourney" Bring some used golf balls to be recycled! Warrior pairings for Saturday are now posted- You can still enter with a few spots open! Jaspers fires a pair of 69's to win by 3. Hearn wins in sudden-death playoff! Stonebridge Masters - Tee Times now Posted for Sunday! â€œMuddersâ€ emerge victorious; Chad Frye, Kevin Ronan, Jimmy Chapman & Dean Hearn ! Jim Aughtry, Steve French, Mark Day and Calvin Adair all win at Carolina Lakes! Jim Aughtry, Rick Scherer, Mark Day and Calvin Adair all claim first victories of the 20 season! Dave Schmidt, John Clark and Terry Upright all win in sudden-death playoffs! egolf Amateur Tour begins on February 7th for the 15th season in Charlotte! Chase Wilson shoots -7 to win the egolf Amateur Tour local finals! Chase Wilson sets 15 year tour record with 63! Schmidt, Cole and Rodrigeuz all post victories in sudden-death playoffs! Adam Vincent, Jason Breedlove, Greg McCoy and Dave Gabbard are all victorious at Waterford! Schmidt and Ballew fire 4 under par 68's-Schmdit wins in sudden-death! Aughtry fires a one under par 71 to win at Rock Barn (Jones Course)! Breedlove beats out Ronan & Ballard in a 2 hole sudden-death playoff! Jerry York beats Jackson Bailey in a four hole sudden-death playoff! Jaspers, Ronan, Studney and Mullis all earn Hilton Head Spots! Adam Vincentâ€™s ace sparks his first victory of the 2008 season! Jaspers 66 is low round of the 2008 Charlotte egolf Tour! Andrew Shiflet beats Joe Jaspers in a sudden-death playoff! "A" and "C" Flights decided in sudden-death playoffs! Van Geersdaelen wins B Flight in Sudden-Death playoff! Chad Frye wins with 69 and Greg Ries fires his career best round! Frye & Hagen win for the second time in 2008! Aughtry "3 Peats" at Rocky River! Carolina Lakes blustery conditions prove to be a tough test on Saturday. Chad Frye fires a 68 to open the 2008 season! Charlotte defends the Egolf Carolina Cup!